INSIDERAG6 uses PRAMA technology to test and train your reflexes. A new high-intensity workout that looks like an arcade game recently opened in New York City. 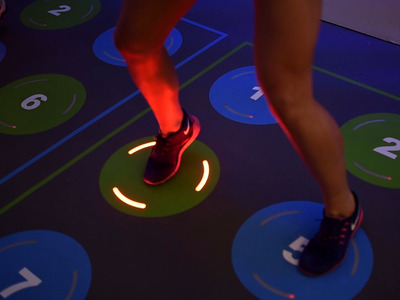 The class is called AG6, and it’s a circuit-based workout that uses PRAMA technology — LED light cues as well as floor and wall sensors — to create randomised, dynamic movements. 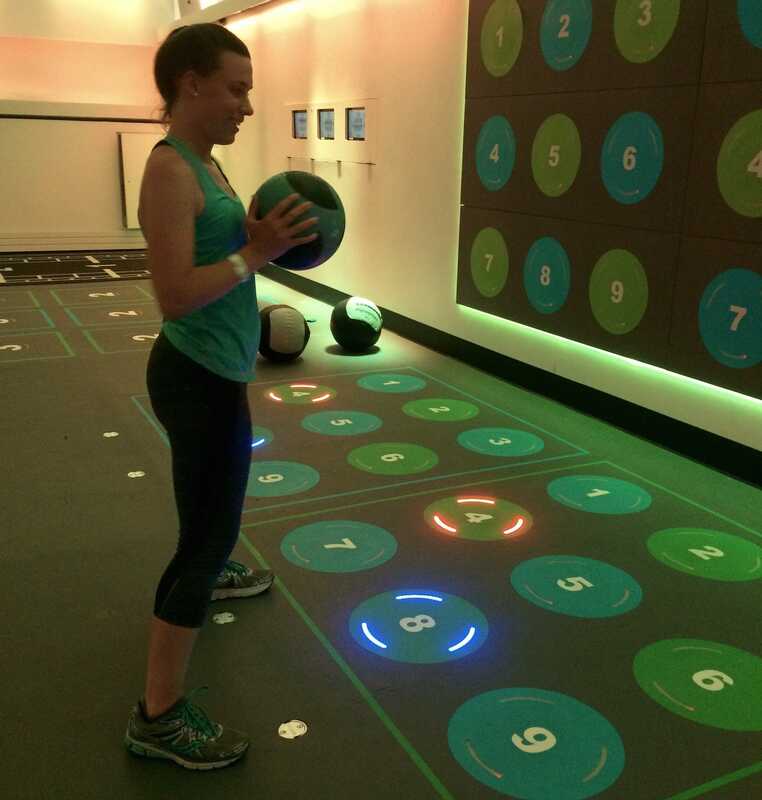 The technology is meant to create an immersive workout environment that tests and improves reflexes, agility, and muscle memory. You can supposedly burn up to 1,000 calories in the 45-minute class. Intrigued by this high tech, high intensity workout I decided to check out a class ($35 for non-members of Asphalt Green, the gym that hosts it). I’m a pretty fit person and have tried my share of fast-paced workouts, but within five minutes of the class, I was dripping sweat on the floor. Like in most circuit-based classes, we rotated through different stations: four rounds of seven stations. Exercises included medicine ball slams, burpees, mountain climbers, squats and lunges, and a bungee cord crawl that reminded me of a high school football practice. We did each exercise for 30 seconds to a minute, with 10 to 30 seconds of rest while switching stations. Light cues were only used in some exercises. The class’ description makes it seem like sensors and lights will be used throughout class, but in reality they’re only present in two of the seven stations. The other five could be recreated in any other gym with simple equipment. However, in the stations that did make use of the PRAMA tech, things kind of fell apart. It was hard to focus on the exercises as well as the lights, and I forgot to hit my foot on the sensor in order to trigger a timer while I struggled through mountain climbers. I ended up spinning my wheels for way longer than I should have, and not getting through the whole exercise as I was meant to. The fast pace of AG6 makes for a dynamic, interesting workout. The 45 minutes flew by, and I definitely felt every muscle in my body the next day. 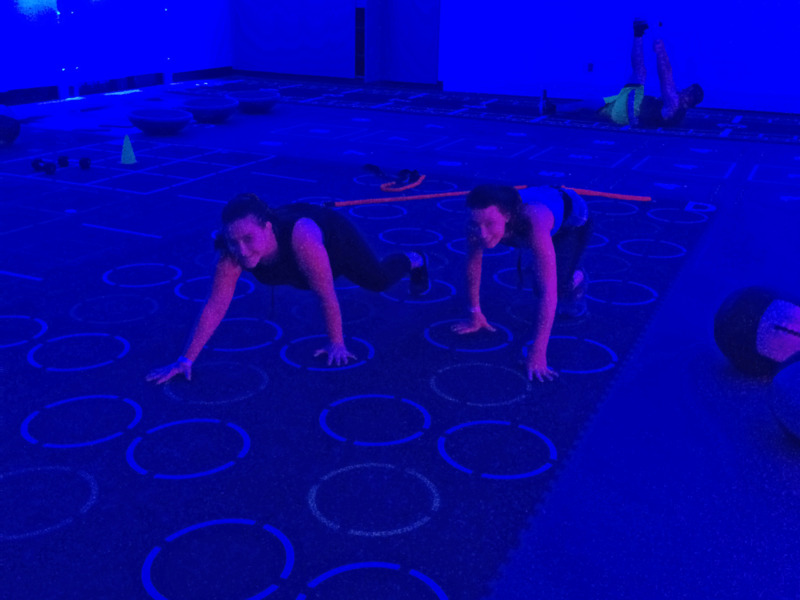 One station involved doing lunges while balancing a medicine ball above your head in time with the light cues. This put pressure on me to lunge faster than I was comfortable with, and I nearly pulled a hamstring as my form deteriorated. Like cross-fit and other speed-oriented workouts, this seems like a major hazard that could result in otherwise preventable injuries. Would I try AG6 again? Probably not. It was a great workout that trained muscles I don’t use all that often, so I feel like if I took the class regularly I would see some strength improvements. For a newbie, though, the sensors and lights sometimes threw me off and felt like an injury waiting to happen. At $35 a class ($25 for gym members), I think I would be better off doing similar workouts at a regular gym, without the distracting technology.